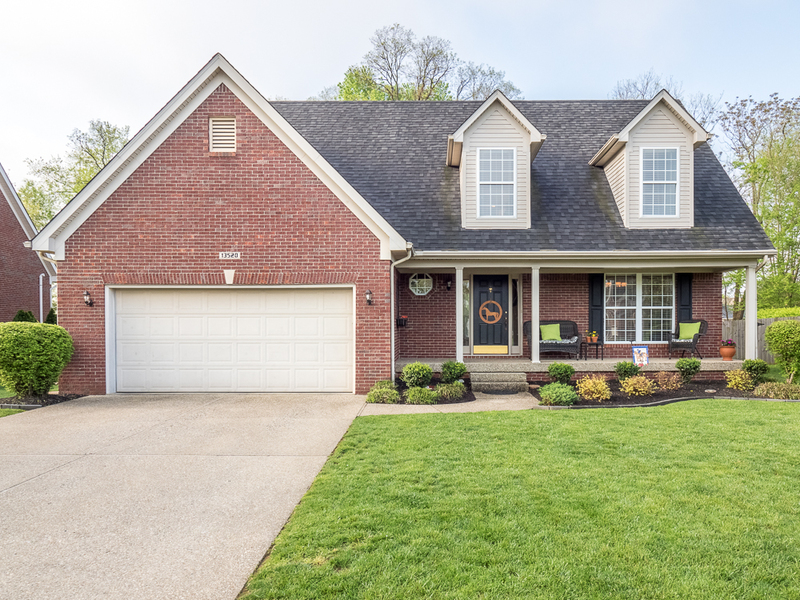 Conveniently located in St. Matthews, this 4 bed/2.5 bath, 2850 sq ft home truly is move in ready, just in time for summer! Floor to ceiling windows in the formal living room allow for tons of natural light. 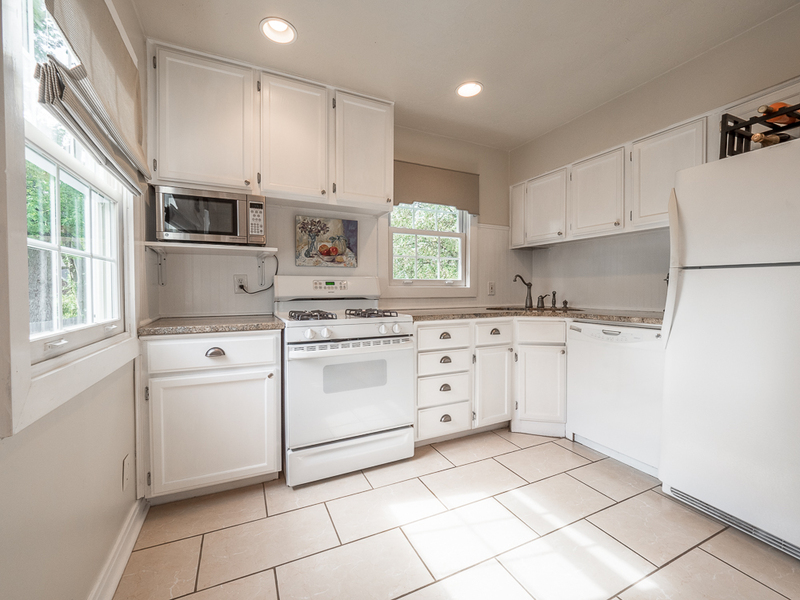 The updated kitchen features brand new, matching, stainless steel GE appliances and a tile backsplash. A dining room, family room, and half bath round out the first floor. All bedrooms are located on the second floor. 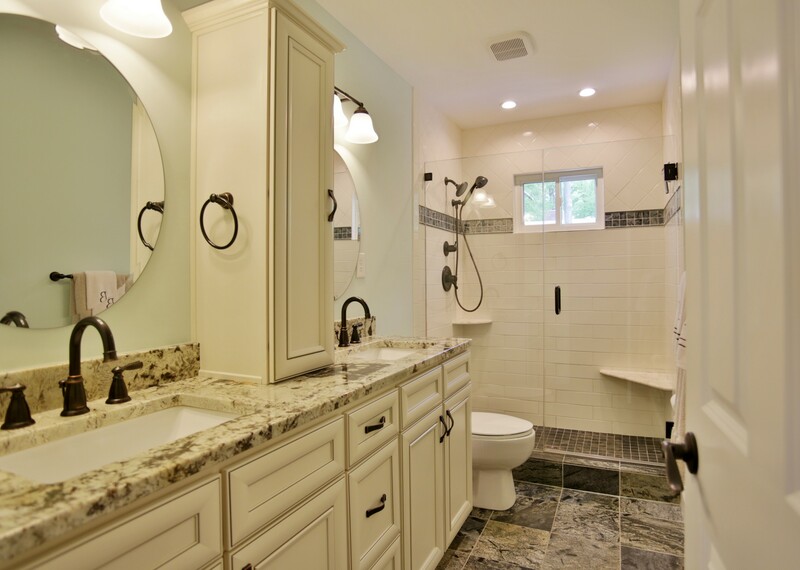 The master bedroom features master bath with dual sinks and large stand alone shower. All bedrooms are good size, and all bathrooms have been remodeled. The home also has new windows, floors, and HVAC. The basement is partially finished and has a brick fireplace and gorgeous metallic epoxy flooring. 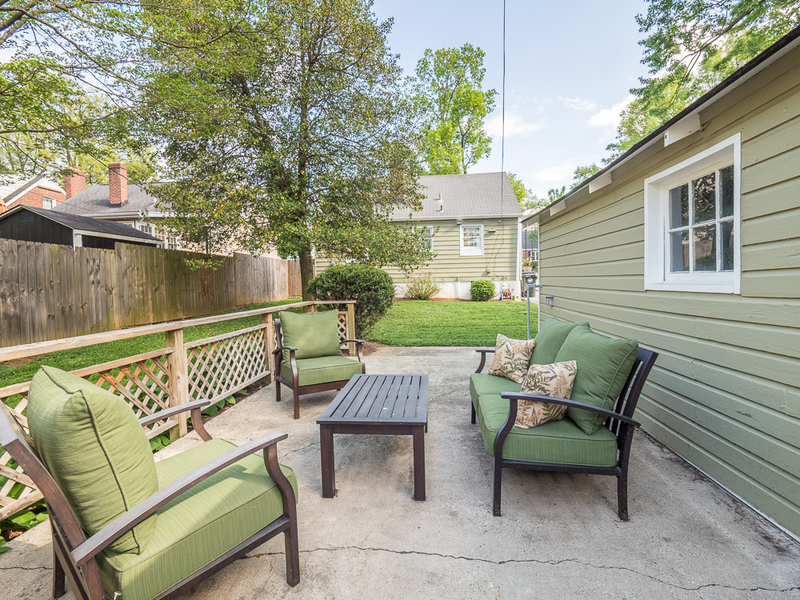 The backyard is private and has a new patio, perfect for entertaining. More pictures and details can be found on our website. Do not miss your chance to own this beautiful home! Call Frank Durso to schedule your private showing, or attend the open house on Sunday, April 30th from 2-4pm. 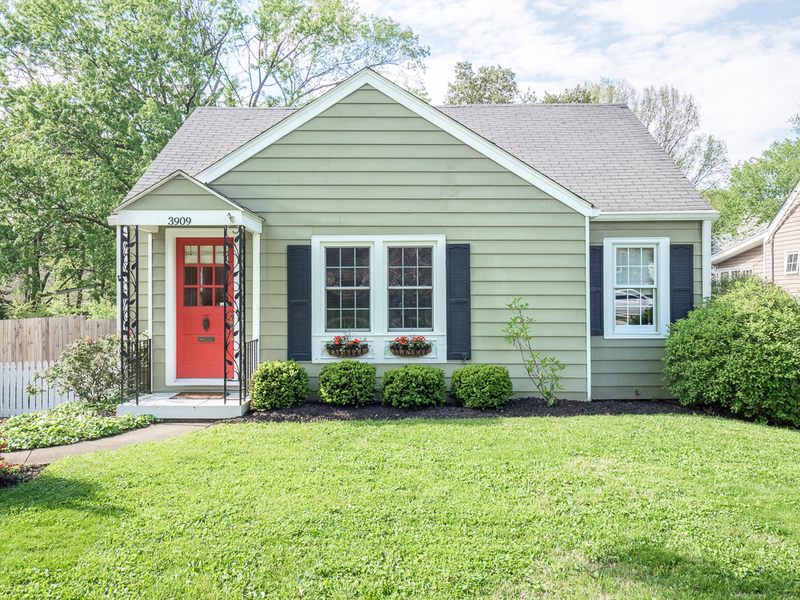 This darling home in St. Matthews is a must see! The home has been beautifully maintained and features hardwood floors, high effeciency replacement windows, crown moldings, and custom window treatments throughout. Unfinished basement can be finished for additional living space. 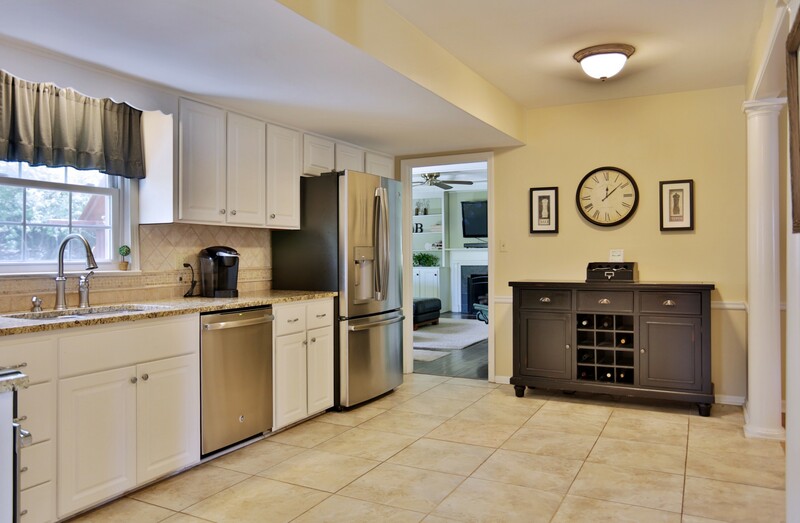 The kitchen features granite counter tops and under-mount sink in kitchen with ceramic tile floor and white appliances. 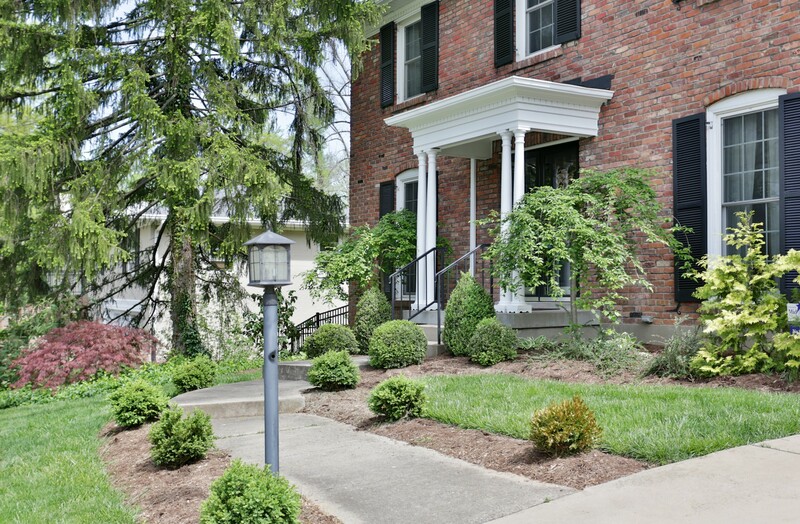 Perfect sized yard with pretty plantings, patio and full privacy fence. 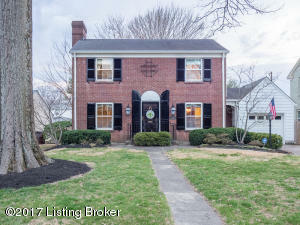 Excellent location, convenient to the parks, shopping, and dining in St. Matthews, plus I-264, hospitals, and the malls. Contact Scott Boehnlein to schedule your showing today! We listed 5 more homes this week! Family Realty listed 5 new homes this week - check out the links below for details. Some are open on Sunday from 2-4pm. This 4 bed, 2.5 bath home is located in Trinity Hills. The updated kitchen features matching GE stainless steel appliances. 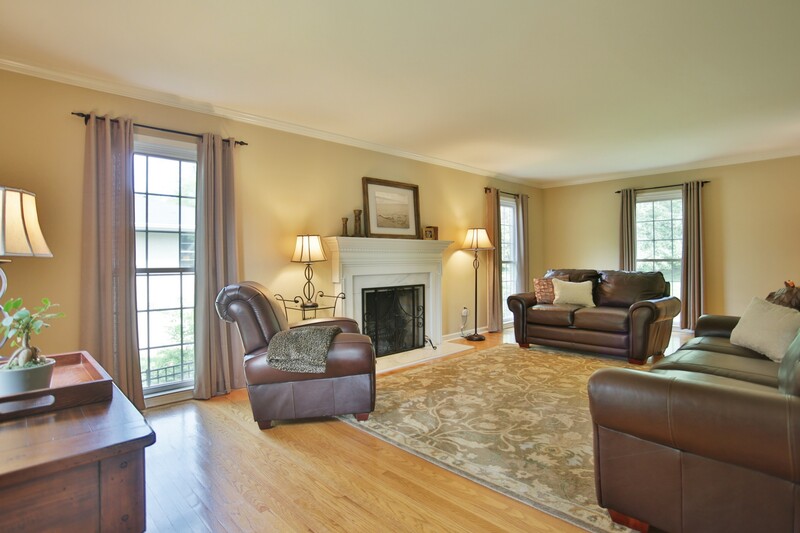 Amazing floor to ceiling windows in the formal living room allow for tons of natural light. All bathrooms have been remodeled. Other recent updates inclue new windows, floors, and HVAC. 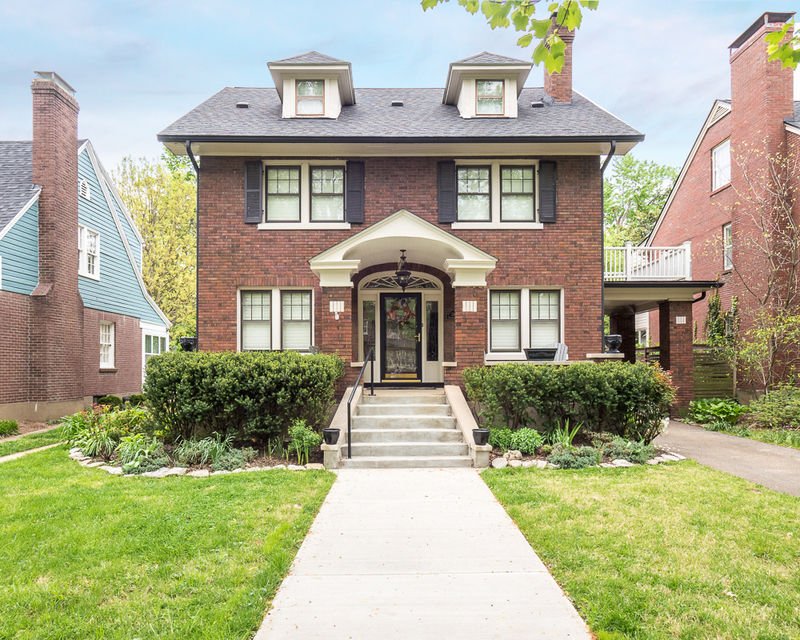 Don't miss your opportunity to own this gem in St. Matthews - contact Frank Durso to schedule your showing today. 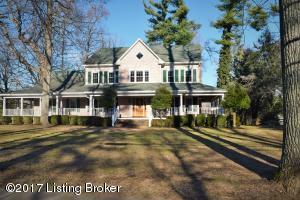 This 5 bed, 4.5 bath home has over 5000 sq ft and sits on a 1.4 acre lot in Pewee Valley. There are 2 full kitchens, one of which is open to a family room. 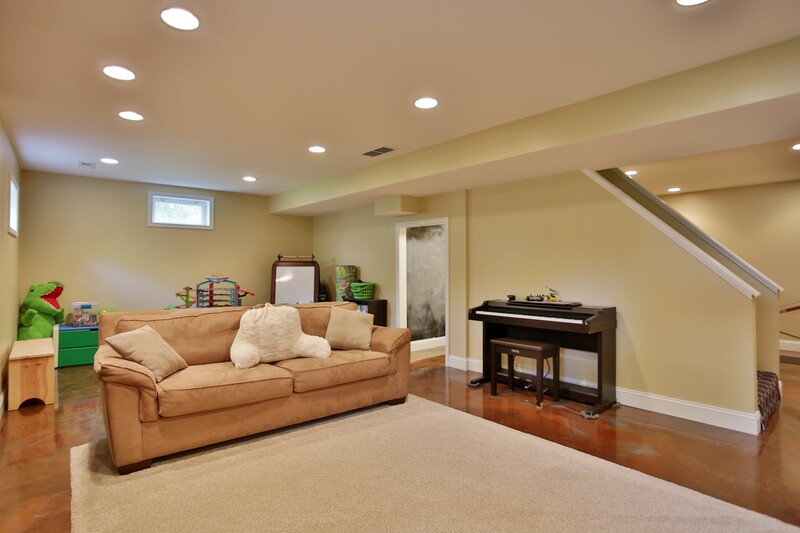 Basement is partially finished with a game room and another family room. There is a beautiful wrap around porch, perfect for entertaining guests or enjoying your morning coffee. Contact Chris Dayton to schedule a showing. 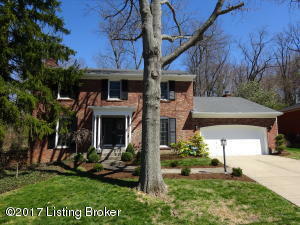 This fabulous 4 bed/2 bath home is located in Seneca Gardens. Home features extensive crown moldings, plantation shutters, and hardwood floors. Living room has fireplace and built-in bookcase, and opens to a small office/sitting room. Kitchen has stainless steel appliances and opens to dining room. Fist showings on Sunday, April 23 during the open house from 2-4pm. This beautiful 3 bed/2.5 bath is located in the Saddlebrook subdivision off LaGrange Rd. Kitchen features stainless steel appliances, island, and breakfast nook; opens to both the family room and the back deck. Master suite on 2nd floor has huge walk in close, attached sitting room, plus master bath with dual sink vanity, large tub, and separate shower. This home is a must see! Contact Family Realty to schedule a showing. Open Sunday, April 23 from 2-4pm. This darling 2 bed/1 bath home is centrally located in St. Mathhews. The home features many updates, including hardwood floors, high efficiency replacement windows, and custom windo treatments. Ample living area, plus the potential to finish off the basement for additional living space. Backyard has patio and full privacy fence. Conveniently located to all of the shopping and dining in St. Matthews, plus the parks, malls, hospitals, and expressways. Contact Family Realty to schedule your showing, or visit our open house on Sunday April 23 from 2-4pm. This beautiful home at 122 Heady Ave will be open on Sunday, April 23 from 2-4pm. Recently reduced to $308,900, we expect to see a lot of visitors that don't want to miss this great deal! Located in Richlawn, this 2 story home features 3 bedrooms and 1.5 baths. 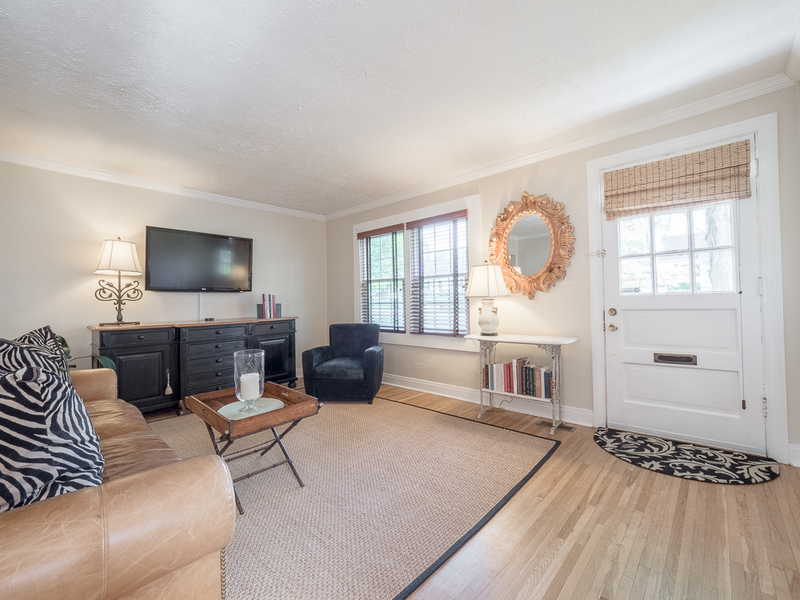 The living room has French doors that lead into an addition that hosts another sitting area. 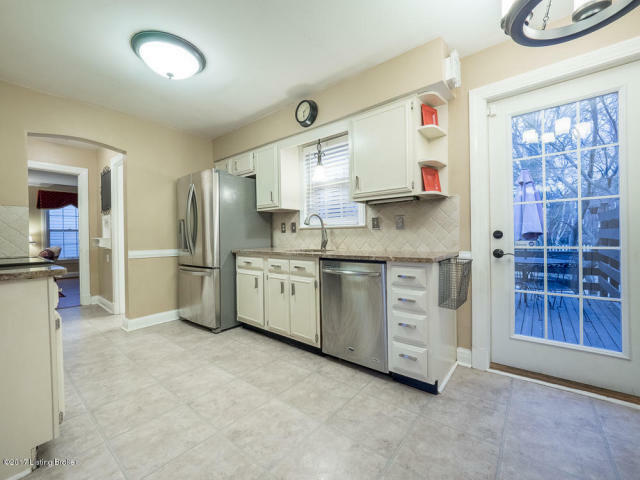 The kitchen has stainless steel appliances and opens to the back deck and fully fenced yard. It's a great space for outdoor entertaining! 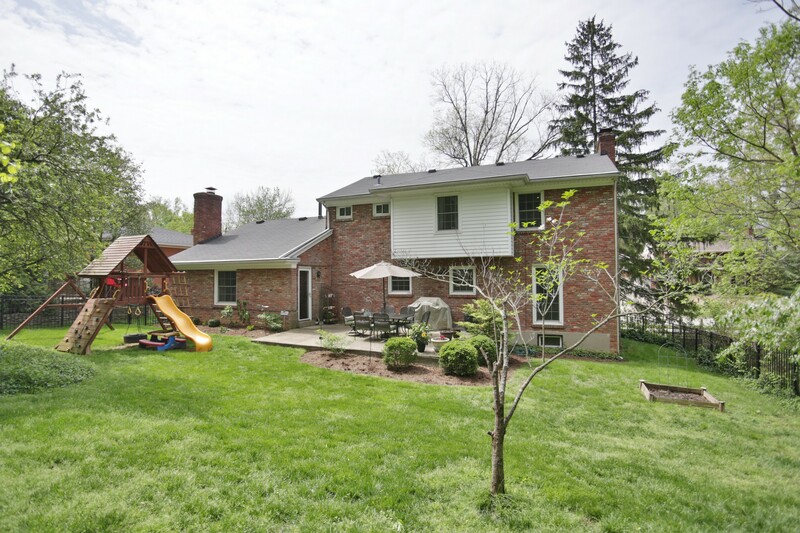 The home also has a large waterproofed finished basement, newer HVAC, and a one car garage. To schedule a private showing, contact Chris Dayton at Family Realty. 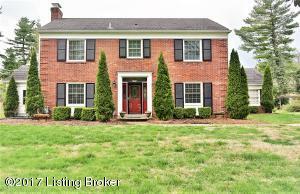 This beautiful colonial home is located in the desired location of Indian Hills. Surrounded by both a sizeable front and backyard, this impeccable house is a sought after property. The formal foyer leads into a welcoming home with charm and character that has beautiful hardwood floors throughout the house. An updated kitchen with high end appliances and a center island is ideal for cooking and entertaining. The kitchen opens up to the large backyard perfect for family gatherings and BBQs. 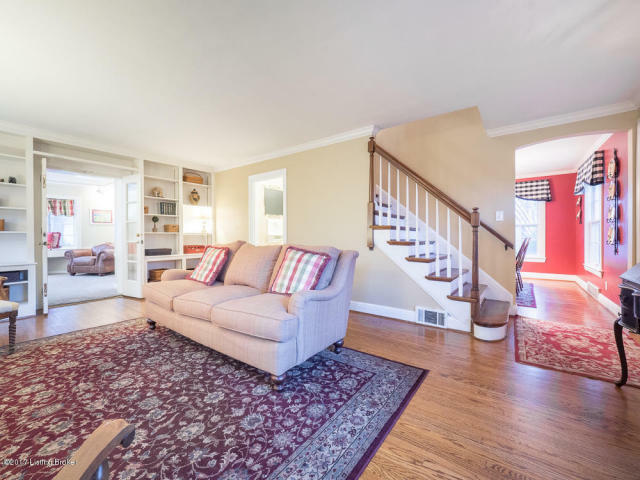 In addition to the inviting family room, this house has a fabulous sunroom perfect for enjoying morning coffee or as an extra space for children to play. The extra room on the first floor is a wonderful room for an office or workspace, with a ½ bath attached. Upstairs boasts four rooms with plenty of space and closets. The master bedroom features his and her closets, and an updated master bath with two sinks. Indian Hills is situatued between Brownsboro Road and the Ohio River, near both Mockingbird Valley and Glenview. Tucked into the rolling hillside, these stately and spacious homes tend to feature lush yards and landscaping. Practice your golf and let the kids swim at Louisville Country Club, or go out and hike along the Indian Hills Trail or Caperton Swamp Nature Preserve. From this area, you can easily get to downtown or out to all of the shopping and restaurants at the Paddock Shops. First showing will be Friday, April 14th at 5pm. Contact Leslie Rueff to schedule your showing - and hurry, because in this market, this house won't last long! Spring means baseball, and what better way to enjoy a warm night than at the Louisville Bats game? The Bats got their start in Louisville in 1982, when the St. Louis Cardinals moved their Triple A affiliate team, the Redbirds, to Louisville. Games were originally played at Cardinal Stadium. In 1998, the team became affiliated with the Milwaukee Brewers and were renamed the RiverBats. The next year, the team moved their games to the new Slugger Field downtown, which can seat 13,131 people. In 2000, the team became affiliated with their current team, the Cincinnati Reds. And in 2002, the team was rebranded as the Louisville Bats that we know today. Louisville Bats games are tons of fun for the whole family. They can accommodate group outings and birthday parties, and they also have a great Kids Club package. For just $25, kids 12 and under receive admission to all Sunday home games, a kids jersey, a cooler, plus 2 free attraction vouchers. And, every Sunday, there is an inflatable fun zone, and kids eat free! It's an amazing deal and more than pays for the cost of joining, even if you can't make all of the Sunday games. Their next game is tonight, Wed April 12th, at 6:35pm against the Toledo Mud Hens. Check out their full schedule here. And don't forget to check out all of the fantastic lofts, condos, and homes for sale while you're downtown!